The worst-kept secret in Clark County politics is that members of the Clark County Republican Party (CCRP) are embroiled in an ugly division and have been for several years. I’ve had absolutely no interest or desire to wade into those murky waters and I still don’t. The division doesn’t reflect well on anyone and the little bit that I have gathered is it’s akin to a family feud that’s better left behind closed doors. Let me just say that the division is similar to that of the national Republican Party, between the more conservative side of the party and the moderates (known as RINOs, or Republicans In Name Only). The only reason I even make reference to the division now is the results of Tuesday’s primary election. Several key races appear to be too close to call heading into the November general election and those races could very well be determined by the CCRP’s ability to mend enough fences that its members join together to get their candidates elected. Let’s take a look at some of the races I’m referring to. In the race for county chair, Eileen Quiring, who is running as a Republican, had a comfortable 13 percent lead over Eric Holt, who is a running as a progressive, Democratic candidate. 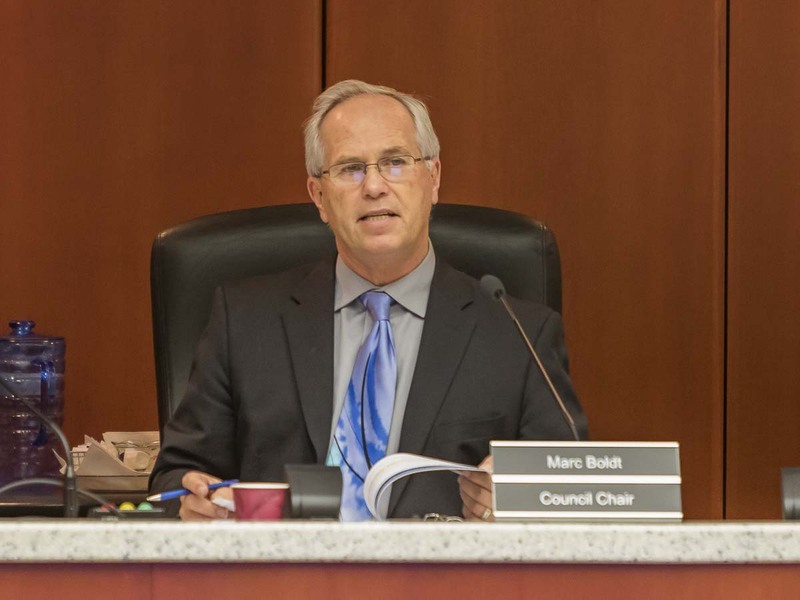 In the next few days, as about 25,000 more ballots are counted, Holt will attempt to hold on to his 974-vote lead (in the initial returns) over current Chair Marc Boldt. Boldt is a former member of the CCRP but has stated no party preference in his last two elections. Despite that, he has still received support from the more moderate side of the CCRP. If Holt, a relatively unknown candidate in the area, can hold on to his lead over Boldt, he will go head-to-head with Quiring in the general election. 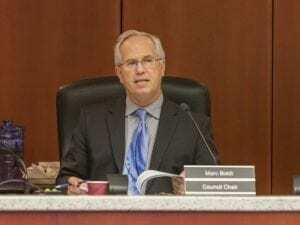 Tuesday night, Holt expressed confidence in his chances citing the votes cast for Christy Stanley, a candidate who dropped out of the race and endorsed Holt, who believes he can overtake Quiring with that additional support. Holt’s math looks a little fuzzy to me, considering that he (24.32 percent) and Stanley (15.48 percent) garnered just under 40 percent of the votes while Quiring (37.27 percent) and Boldt (22.93 percent) combined for about 60 percent. To me, that means the key to the election will be which candidate Boldt’s supporters choose to support. If the members of both divisions of the CCRP get behind Quiring, it looks to me like she will be the next chair. At least two of the races for state representative positions in the 17th and 18th districts also appear to be too close to call heading into the general election, meaning the candidate’s own party needs to be solidified to get their candidate elected. In the 17th District, Clark County voters gave incumbent Vicki Kraft (Position 1), who prefers the Republican Party, 48.51 percent of the vote. Democrat Tanisha Harris received 43.94 percent of the votes and James Tolson, a Democrat who bowed out of the race, received 7.55 percent. So the Democrats received more votes than the lone Republican. Incumbent Paul Harris, who prefers the Republican Party, held a comfortable edge (54.25 percent to 45.75 percent) over challenger Damion Jiles Sr., who prefers the Democratic Party. Things were very close in the 18th District races. For Position 1, incumbent Brandon Vick (prefers Republican Party) held a slight edge of just over 1 percent (50.58 percent to 49.42 percent) over challenger Chris Thobaben, who prefers the Democratic Party. In the race for Position 2, Kathy Gillespie (53.51 percent) had an edge of about 7 percent among Clark County voters over Larry Hoff, who prefers the Republican Party. With races appearing this close heading into the General Election, neither party can afford to be split in their support of candidates who prefer their party. 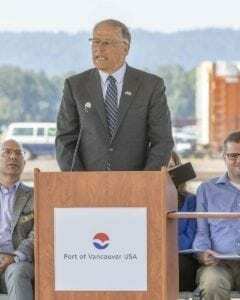 Washington Governor Jay Inslee was in Vancouver last week for the grand opening of the Port of Vancouver Freight Access Project. During his remarks, Gov. Inslee had a few words to say about Oregon’s idea of tolls south of the Columbia River in Portland, saying he’s been pushing Washington Department of Transportation officials to make sure Southwest Washington voices are heard in the debate. 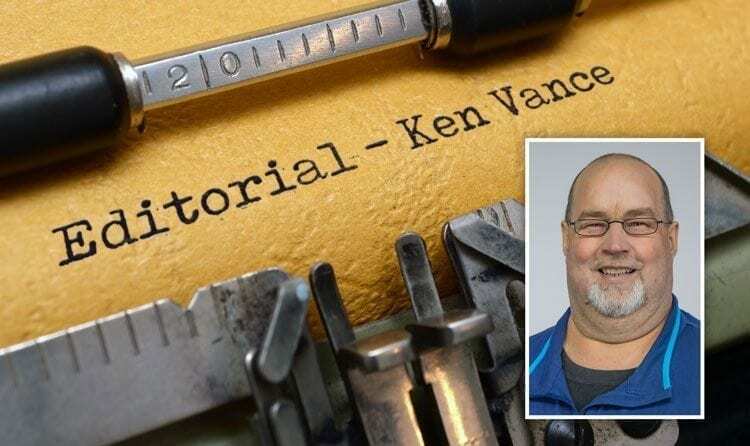 “And I can report to you that those voices have been heard, they are being heard, and they will be heard to make sure that our residents’ interests are protected in any tolling discussion,” said Inslee, as stated in ClarkCountyToday.com Reporter Chris Brown’s story. It was a nice sound bite for the governor to offer, but it sounded a little too much to me like a politician saying something and nothing all at the same time. So, I reached out to his communications staff for some clarification on Gov. Inslee’s actual position on Oregon’s plans to toll Washington commuters on I-5 and I-205. “We do not support Portland’s proposal,’’ said Tara Lee, who serves as deputy communications director for the governor. Gov. Inslee also indicated at his Vancouver appearance that he’d been told Portland’s proposal to toll all of I-5 and I-205 up to the state line is likely DOA at the Oregon Transportation Commission. So, excitedly, I asked Lee for more context to that remark. Let’s hope the governor’s insight into the matter is accurate. If it is, it’s the best news I’ve heard on the tolling issue to date.